The death of Steve Jobs did more than rob the tech industry of a visionary. It also robbed some people of confidence in Apple as a company. It’s fair to wonder if Apple can remain the same company long term. The most important thing Steve Jobs really gave to Apple (and the tech industry and our culture), in my opinion, was the ability to look beyond the status quo and start pushing computers and portable technology into the future. Yes, he was finicky about product refinement and details, but I think there are plenty of other people at Apple who can do beautiful design and obsess over those details. What’s not clear is whether any of them could have envisioned the iPad, or stopped in their tracks to go make the iPhone, or to have known what projects to say no to along the way. Yesterday I read a blog post written by a friend of mine that detailed a number of problems he’s had with Apple products lately. The list was lengthy and included issues with the iPhone 4S, OS X 10.7, Apple TV, and iCloud. I’m not going to address them here, save to say that he’s seeing some things that I’ve never seen (apps crashing on iPhone and OS X 10.7, iPhone freezing, Apple TV not wanting to work with AirPlay). Nevertheless, I will admit I’ve had enough of my own issues with OS X 10.7, iTunes on the Mac, and iTunes Match to agree that not everything is perfect in Apple land in December 2011. I don’t disagree with his premise that Apple is probably releasing some products that need more work. I agree with that entirely. I do, however, find it interesting that he chose to consider this as evidence that maybe the “Apple will tank now that Steve is dead” crowd were on to something. I think that’s wrong, and that’s the kindest way I could think to phrase that. With the exception of OS X 10.7, which has had a maddeningly sluggish UI from day one, and which has gotten no help in this regard from either of the two point release updates issued to date, most of the problems I personally have seen have all been related to online services. iTunes Match, for example, really seems about three quarters baked. 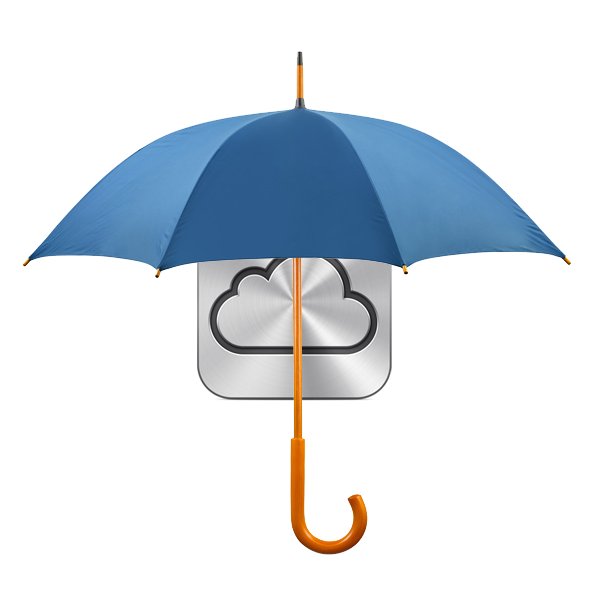 There have been inconsistencies with the ability to log in to both iCloud and Mobile Me accounts on Macs. And people seem to have varying degrees of satisfaction with iCloud syncing. Personally, everything in iCloud has worked superbly for me, save for one thing. iBook collection and bookmark syncing just doesn’t happen. At all. There’s no doubt that Steve Jobs understood hardware. There’s no doubt that he understood how important it was to reduce software complexity and get it out of the way of the user so they could do whatever it was they wanted to do. And obviously he grasped better than anyone what providing a complete experience with a full array of easy to obtain content in the form of music, movies, books, and applications meant in terms of making his hardware useful and valuable to people. But I think online services outside of an online store, alà iTunes store or App store, was to him like a fourth language that he really wanted to master but just didn’t have the time, aptitude, or both. Apple has never had a solid online service resumé. Even during the times when they had decent stability and reliability, their offerings have never been competitive. And when their offerings have been competitive, there have been technical issues. It’s telling that Steve and everyone else at Apple apparently didn’t understand until after the fact the problems with MobileMe and how the rollout might not be seamless. He reportedly gathered the MobileMe team to chastise them for tarnishing Apple’s reputation, but the damage was done. Can you imagine that happening with an iPhone or iPad release? Never. The overhyped iPhone 4 antenna attenuation issue is the only example approaching this that I can think of. And even that was nothing near the problem the press would have had you believe. Apple has blind spots. The cloud and online services in general has always been a major one of those, and now Apple is pushing to really move into that space out of necessity, as well as out of a desire to make their mobile products truly mobile and truly post-PC. It’s not surprising that we’re seeing issues with things like iTunes Match, and it has nothing to do with Steve’s very recent death. I don’t see how anyone can sensibly argue that the death of Steve Jobs is directly responsible for any products coming from Apple right now that are released before they’re one hundred percent ready. It’s too soon. All of these products have been in the pipeline and been being worked on for a long time. I think it’s far more likely that Apple is doing so many things right now that they’re feeling the pain of stretching their resources thin. Apple is no longer about just making Macs and iPods and having to write a decent version of OS X and iLife anymore. Now it’s iOS, OS X, iLife, major Aperture and Final Cut revisions, Macs, iPods, cloud services, and more. It’s a huge number of things to juggle and get them done right. This is not to excuse Apple when they release something that is buggy or feels not quite ready for primetime. I think it’s just a fact, and it’s a problem they need to solve as quickly as possible. If Steve were alive, he’d still be dealing with this problem himself. I agree. For one thing many of the recent releases were on the calendar before Steve Jobs passed away, and probably before he resigned his post at Apple. Plus, many of the upcoming products from Apple will have had Jobs overlooking a portion of the product development for several years to come. The test with these products and products that Jobs had nothing to do with will be how does Apple react and respond to the problems and how fast. That will all be on Tim Cook and his team and has been.